The Lopez filibusters seized Cardenas, Cuba, on May 19, 1850. The rebel flag is burning of the Capitular House. We had ten days nearly calm Which was nearly as bad as the gale the Sea running mountains high with no wind to steady the hopes On the 11th day we made the Berry Islands & the weather being calm & mild we were landed by the natives as I had lost some of the water & the balance being thick I took two casks ashore in their Boat Whilst they were being filled I took a stroll & was highly gratified. Here I found all through the bushes the cactus in all its glory, some were in full bloom & I never beheld such magnificent flowers. The plants from 6 to 8 feet high some occupying 8 to 10 feet space On one saw the wreck of a hen She in attempting to fly over had lodged and the thorns had penetrated & killed her They told me this frequently happened both with domestic & wild fowl. 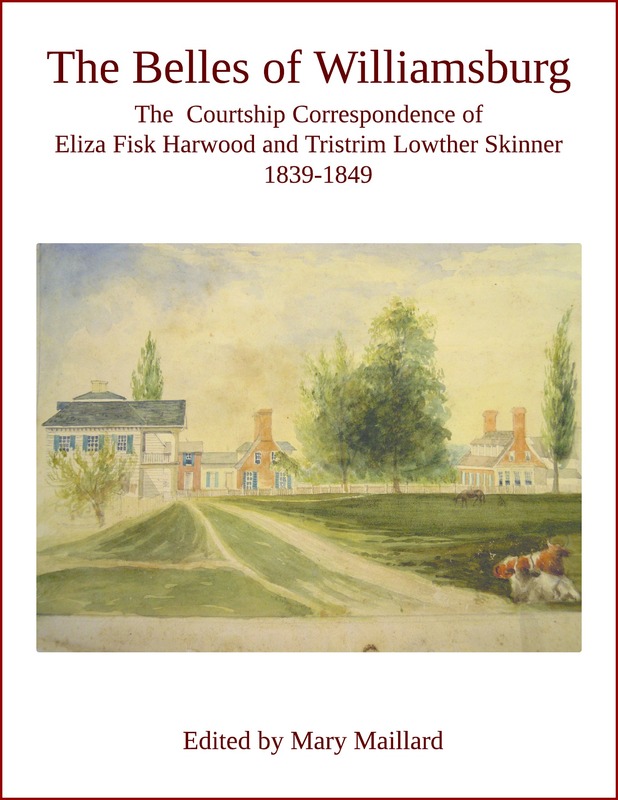 Three days after we encountered another gale & lay too 12 hours, this done in no damage in all this bad weather The Eliza Fisk behaved to admiration Grounded late Saturday afternoon I having to see the American Consul saw little or nothing of the Town. Sunday I was invited to dine with my Mercht Mr Doyle of New York He has been established here twelve years & has his Sister living with him. We of course had an American dinner There were 1500 Spanish troops with a most splendid band & as there was to be music on the Public Square at 8 oclock I staid on Shore— The music was grand & I had the pleasure of seeing the Spanish Senorettes & Mr Doyle gave me an introduction to one I of course had to play the beau. As she spoke our language I got along very well. The people here appear a familiar sociable lot & exceedingly polite. I am staying in Cardenas Bay about 1/4th of a mile from the Town The Scenery the most beautiful I ever beheld The Bay is 10 times as large as the harbour of Norfolk down to Crary Island surrounded by land except the inlet which is 1/2 mile wide The Town lays on the level under the Mountains which are distant some 8 or 10 miles except the Pan of Matansas, which towers over the rest many hundred feet as you may suppose from the fact that it is visible to the naked eye although 40 miles distant. The Mountains are thickly covered with verdant foliage & of all manner of shapes. 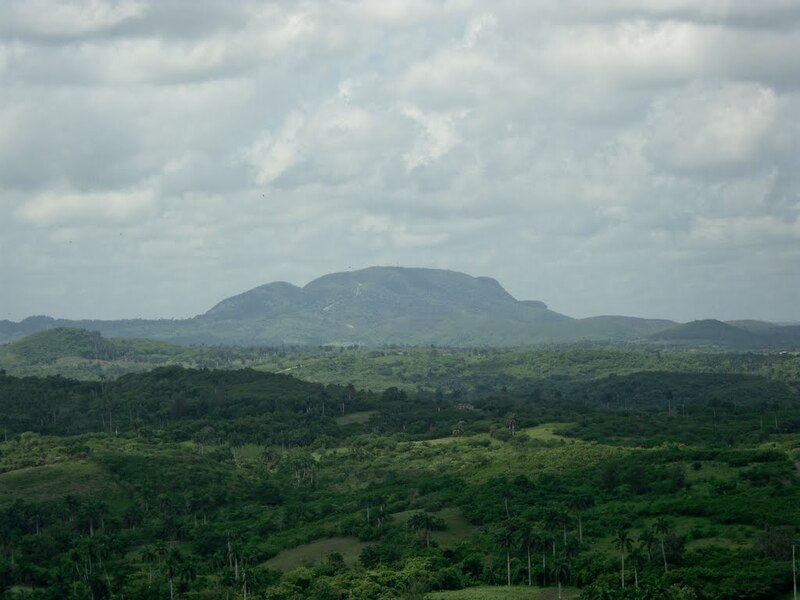 All under them as far as the eye can see are immense Sugar Estates, with the Sugar cane as green & luxuriant as our cornfields in the Month of June – interspersed with the palm & coconut tree, both having long bodeys, with foliage only on the top. Jenny Lind. Royal Library, Stockholm. The Steamer Isabel arrived yesterday We have just heard of her arrival Jinny Lind came in her & is to hold her first concert day after tomorrow As I did not hear her at home I shall go to the Havana to enjoy that pleasure I hear they have the largest & most magnificent theatre in the world so I expect to be highly gratified & will give you a full account when I get back home – Today is the first holaday of the year being Kings Day No one works particularly the negroes, they are as thick as Black birds here & whilst I am writing there is a crowd passing led by one dressed in the most fantastic manner imaginable – his head covered with a red cap hung with strips of calico of the most flaring colours reaching to his feet with a thick gause covering to his face which of course cannot be seen. He gives the song which is sung by the followers accompanyed by 6 or 8 coarse drums. 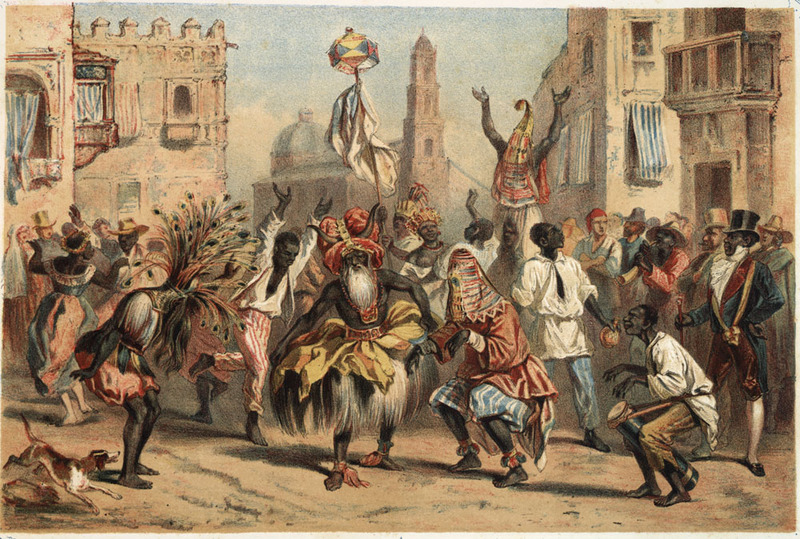 Celebration of the Day of Kings, also known as the Twelfth Day Festival (January 6), by Federico Mialhe c.1851. It is a novel sight to me to witness a drove [of] small horses coming through the streets with their back saddles & loads, apparently enough to weigh the creatures to the ground. They are guarded by 3 or 4 men with holsters & pistols to their saddles. Indeed no one appears to come from the interior who has not either his holsters or a Sabre. The troops are quartered on the inhabitant [vabus habeus] My merchant has four at his residence & 16 at his store & you meet crowds in the street where ever you go. They still seem to dread Lopez as more troops are daily expected here – I am told I shall have two on board the Schr This I shall most mortally hate as they are a dirty sort of fellows. A Cuban volante in the Paseo. Venezuelan-born Narciso Lopez (1797-1851) joined the Spanish army as a teenager and quickly rose through the ranks, becoming a colonel by the age of twenty-one. He served the Spanish government in Cuba from the mid 1820’s until 1843, when he lost his post as assistant to the governor-general. By 1848, having joined the anti-Spanish Revolutionary party, Lopez was threatened with arrest and he fled to the United States. There, in 1849, he organized a military expedition to invade Cuba and liberate it from the Spanish. He enlisted the support of Americans, many who supported the idea of Manifest Destiny, but his attempts at filibustering were blocked by President Zachary Taylor, who ordered that Lopez’ ships be blocked and seized. 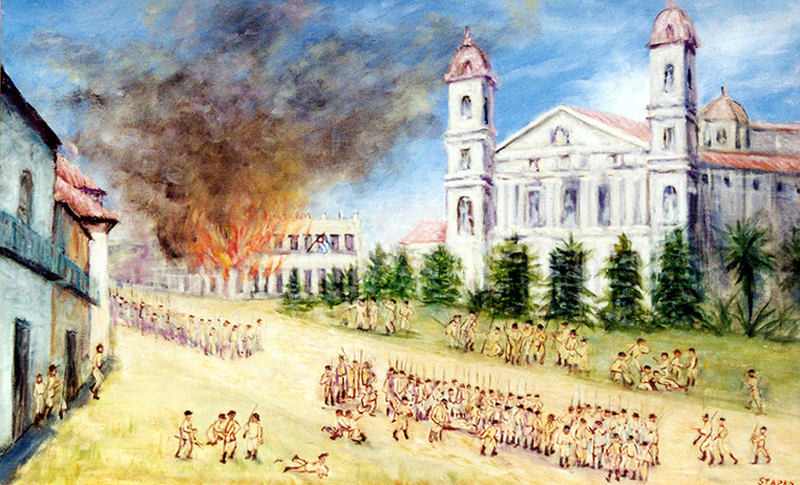 Enlisting more than five hundred filibusters for his May 19, 1850, expedition, Lopez succeeded in capturing the town of Cardenas (for twenty-four hours), planting Cuba’s first flag on top of La Dominica Hotel, and flying the rebel flag on the burning Capitular House. Only five Cubans participated in the 1850 expedition. 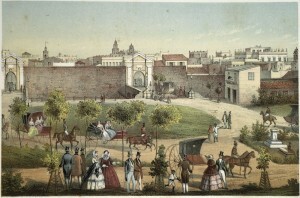 In August, 1851, Lopez tried again with 435 mercenaries. Again, he received very little local support, and his expeditionary forces were quickly defeated by Spanish troops. Fifty American soldiers and their leader, Colonel William L. Crittenden (nephew of President Filmore’s Attorney General John J. Crittenden), were executed by firing squad in Havana. Lopez himself was publicly garroted, after loudly proclaiming, “It was not my wish to injure anyone, my object was your freedom and happiness.” Dickie Galt wrote this letter to Eliza Skinner midway between Lopez’ two failed expeditions. Tom Chaffin, Fatal Glory: Narciso Lopez and the First Clandestine U.S. War against Cuba (Charlottesville: University Press of Virginia, 1996); “Cuban Filibuster Movement,” http://www.latinamericanstudies.org/filibusters.htm . Super Cargo (from the Spanish sobrecargo) is a maritime term for the person on board a vessel who is employed by the owner to manage the trading, selling and buying of goods from port to port. Berry Island, situated just northeast of Andros Island, was first settled in 1836 by free Africans at Great Harbor Cay, under Governor William MacBean George Colebrooke (1787-1870). The mulatto governor who welcomed Dickie Galt may have been a Black Seminole, one of a bi-racial group of Seminole Indians and free American blacks who escaped from Florida in 1821 and settled on Andros Island http://www.bahamasgateway.com/berry_island_bahamas.htm ; http://www.gnb.ca/lg/gov-e.asp; Rosalyn Howard, “The ‘Wild Indians’ of Andros Island: Black Seminole Legacy in the Bahamas’,” Journal of Black Studies, Vol. 37 No. 2, (November 2006) 275-298; Toni Carrier, “Black Seminoles, Maroons and Freedom Seekers in Florida, Part 3: The Destruction of Angola,” The USF Africana Heritage Project, http://www.africanaheritage.com/Black_Seminoles_Angola.asp . A Quadroon is defined by Websters as a person of one quarter black ancestry. Paupau is another name for papaya. Edmund Doyle had been imprisoned in Cardenas six months earlier on “a frivolous charge,” during the tumult after Lopez’ first expedition. D. A. Levy, ed., “The Maritime Heritage Project,” http://www.maritimeheritage.org/PassLists/no081550.htm . The Bay was twelve miles long and eighteen miles wide. The town of Cardenas, founded by North Americans only twenty-three years earlier, was unfortified and built on an American-style grid. Chaffin, Fatal Glory, 129. 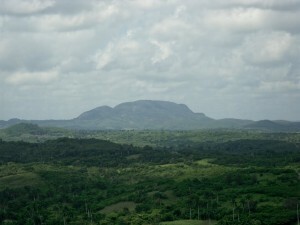 The Pan of Matanzas rises 380 meters above sea level. 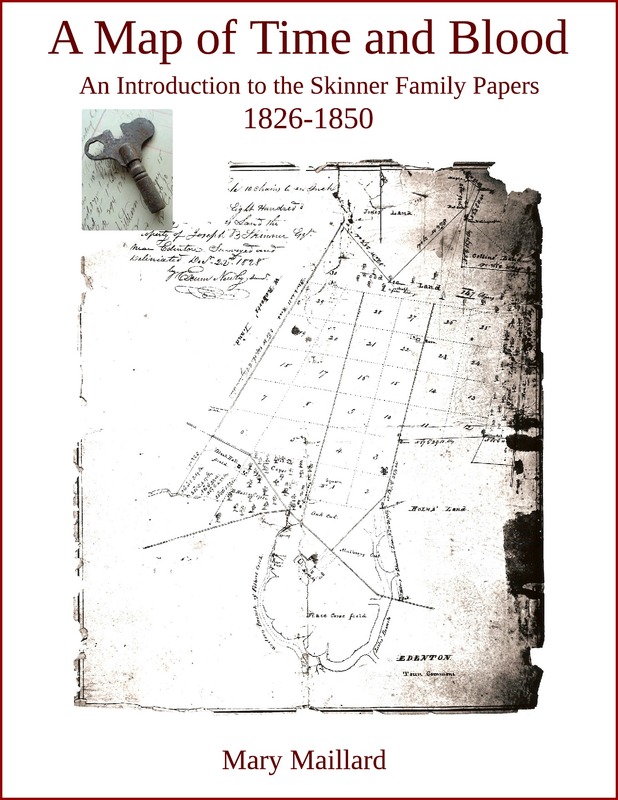 It had been Lopez’ plan when he invaded Cardenas in 1850, to seize the railroad to Matanzas in the dead of night and then to take the city itself by surprise; there, Lopez fully expected that thousands would join him in the revolution. Instead, the accidental grounding of his ship resulted in delay, the alarm was sounded in Matanzas, and Spanish forces drove Lopez out of Cuba and chased him all the way to Florida. Ambrosio Jose Gonzales, “Manifesto on Cuban Affairs Addressed to the People of the United States,” September 1, 1852 (New Orleans: Printed at The Daily Delta, 1853) http://www.latinamericanstudies.org/gonzalesdoc6.htm ; Chaffin, Fatal Glory, 137. The Catedral de la Immaculada Concepcion was built in 1846. Clifford L. Staten, The History of Cuba (Westport, Conn: Greenwood Press 2003); David Stanley, “Cuba Churches,” http://www.cuba-pictures.com/cuba/church.html . By 1850, there were more than 600 miles of railroad linking the sugar plantations to Havana and other ports. Clifford L. Staten, The History of Cuba (Westport, Conn: Greenwood Press 2003), 23. 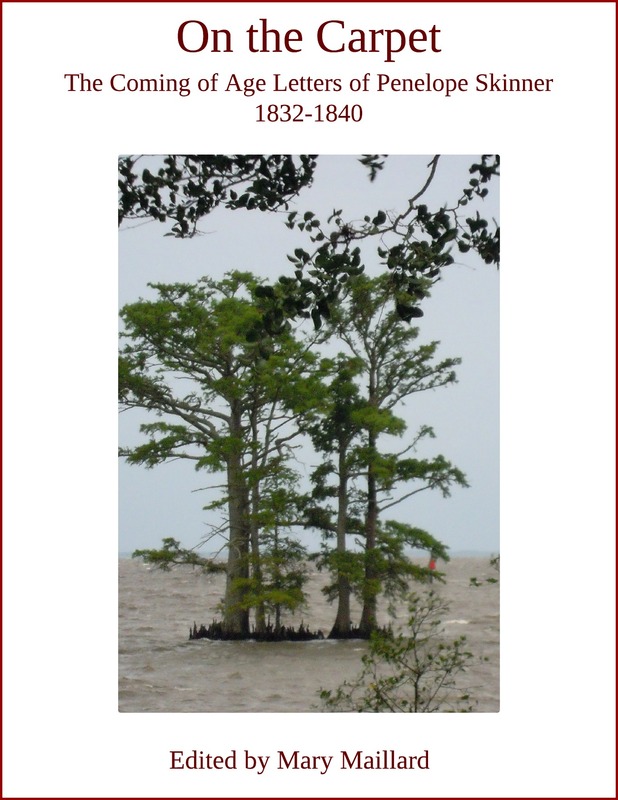 The steamship Isabel carried mail weekly from Charleston to Havana, and like George Law’s United States Mail Steamship Company, was associated with filibuster activity, including transporting Lopez himself from Key West to Savannah after the Cardenas expedition. Law’s U.S. Mail steamers regularly carried filibuster weapons, literature and men. Chaffin, Fatal Glory, 174-175. 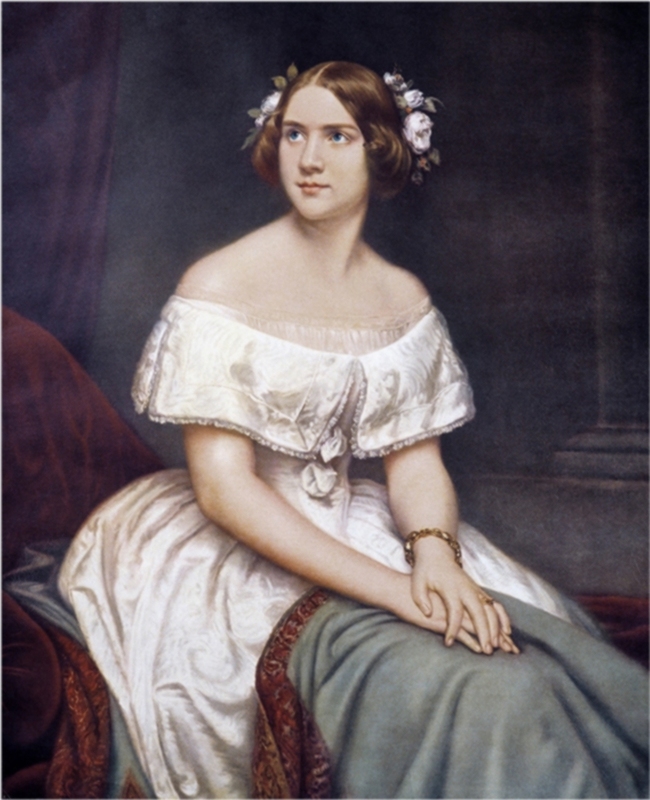 Jenny Lind (1820-1887), the popular soprano known as “the Swedish Nightingale,” toured the United Sates from 1850 through 1851. P.T. 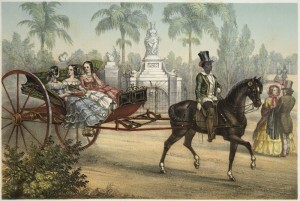 Barnum, who organized the tour, discovered upon arriving in Havana that “a strong prejudice existed against our musical enterprise.” Not only were the Cuban residents reluctant to pay Barnum’s high ticket prices, they redirected their animosity for the “Yankee Pirate” towards Jenny Lind. On her opening night at the Tacon Grand Theatre, probably the very night that Dickie Galt attended, Lind was greeted by the thin applause of four hundred theatre-goers – and the hisses of another twenty-five hundred. A reviewer from the New York Tribune wrote, “Some of the oldest Castillians kept a frown upon their brow and a curling sneer upon their lip….The caballeros, the senoras and senoritas began to look at each other; nearly all, however, kept their teeth clenched and their lips closed, evidently determined to resist to the last….By and by, as the rich notes came dashing in rivers upon our enraptured ears, one poor critic involuntarily whispered a ‘brava.’ This outbursting of soul was instantly hissed down. The stream of harmony rolled on till, at the close, it made a clear sweep of every obstacle, and carried all before it. Not a vestige of opposition remained, but such a shout of applause as went up was never before heard.” On that night, Jenny Lind was called back for five deafening ovations. Phineas Taylor Barnum, The Life of P.T. Barnum (London: Sampson Low & Company, 1855), 326-328. 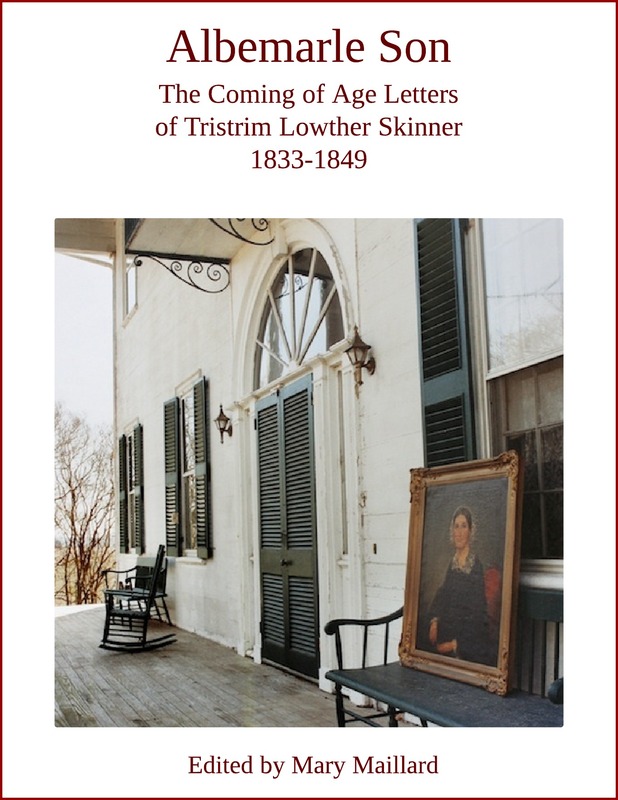 The Christmas tradition of John Konnering was practiced in Edenton until the 1880’s; Tristrim Skinner would have been well acquainted with it, and his new wife, Eliza, may well have witnessed a similar celebration by the time she received this letter. Clifford L. Staten, The History of Cuba (Westport, Conn: Greenwood Press, 2003), 25; Bertram Wyatt-Brown, Southern Honor: Ethics and Behavior in the Old South (Oxford: Oxford University Press, 1982), 444; Guion Griffis Johnson, Ante-Bellum North Carolina: A Social History (Chapel Hill: University of North Carolina Press, 1937) 553. Rumours were that Lopez would attack in December. Wealthy planters competed to see who could adorn their carriages with the most silver and gold. Clifford L. Staten, The History of Cuba (Westport, Conn: Greenwood Press, 2003), 24. Volantes were driven by non-slave Afro-Cubans and, as noted by visitor, Maturin Ballou, “Strange as it may seem, it [the carriage] is very light upon the horse, which is also bestridden by the postilion, or calisero.” Clifford L. Staten, The History of Cuba, ( Westport, Conn: Greenwood Press, 2003) 25; Maturin Murray Ballou, History of Cuba; or Notes of a traveler in the tropics (Boston: Phillips, Sampson & Company, 1854), 131-132.